In September, the last Holden Commodore will roll off the production line. When it does it will mean the end of the large Australian RWD performance sedan. It’s a dilemma SAAB owners will relate to. Yes you could buy a Volvo, or an Audi, but it’s not quite the same thing. So if you were in the market for such a car, what will be your new car options in 2018 and beyond? We’ll start with the obvious choice, the Kia Stinger. The Stinger is a large RWD sedan with a turbo four cylinder or twin turbo V6, so it fits the brief very well. The lack of a manual gearbox is a drawback, and the twin turbo V6 engine won’t sound as good as the straight sixes and V8s we’ve been spoilt with over the decades. The Kia badge will be hard for some to swallow, but if you’re more open minded than that, the Stinger, particularly the GT model, is an ideal candidate. If you must have a V8 muscle sedan, the Chrysler 300 is the default top choice. Again it’s not available with a manual. In fact from next year you won’t be able to buy a large sedan in Australia with a manual gearbox. The Chrysler is rather less sporty than the Commodore and Falcon. It’s bigger softer and heavier, altogether more American. It’s fast in a straight line, it’s comfortable, and that’s about it. 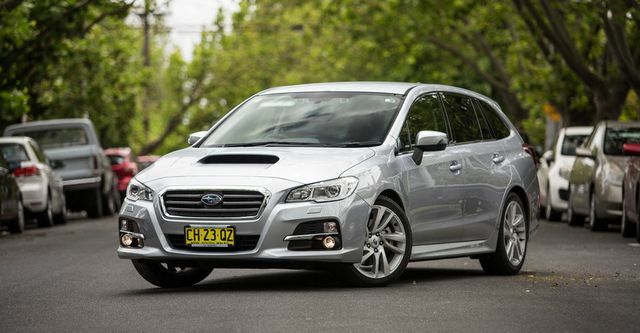 A left-field suggestion would be the Subaru Levorg. Yes the name’s a bit strange, grovel backward, but it’s more or less a WRX wagon. It’s fast enough, practical and AWD, which is nearly as good as RWD. The only major downside is the CVT gearbox. Bafflingly, Subaru dropped the manual option shortly after its release. If you don’t mind having less space could always get a manual WRX. What about the NG Holden Commodore? Look, just hear me out. I don’t mean the FWD four cylinder model. The AWD V6 will do 0-100km/h in 6.4 seconds. That’s nearly a second faster than an FG-X Falcon XR6 or VF Commodore SV6. It’s just as fast as an FG Falcon XR8. But even knowing that I can’t bring myself to want one, and I don’t expect you to either. Still, we have to judge it on its merits and it might turn out to be good. 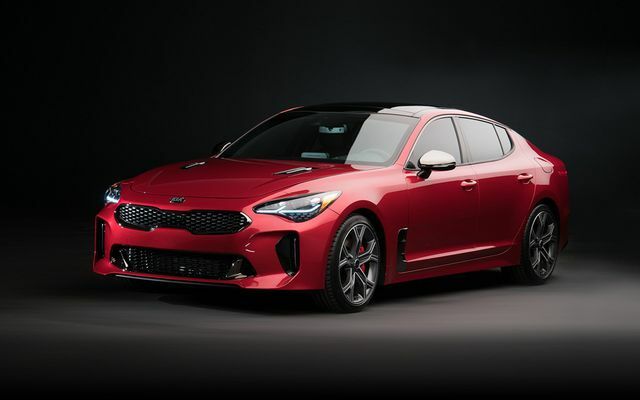 It’s not likely to be a match for the Kia Stinger GT however, so let’s just move on. If you can make your Falcodore last a bit longer than you normally would, you could afford a mid sized European RWD sports sedan. The BMW 3 Series, Jaguar XE, Mercedes Benz C Class and Alfa Romeo Giulia are all good options. You’ll have to pay a fair bit more than your last car for one with a powerful engine, but they’re not completely out of the question. Even the entry level models are good driver’s cars. What if you’re stepping out of a Holden Caprice? This is very much a niche market these days. It’s mostly silver service taxis and private airport transfer cars that make up this market segment. If you are one of these people, a Hyundai Genesis will do the job just fine. It’s extremely refined and spacious, with a whisper quiet V6 engine, but not even vaguely interesting. I’d even go as far as saying that it’s the most boring RWD car on sale in Australia. If you’re a private buyer trading in a Caprice, I’d suggest a Chrysler 300, because it has some personality. Initially the loss of the Falcon and Commodore will only affect people who just missed out and now need to buy something else, or have an early FG-X or VF bought new and will replace in the next few years. For anyone with an older model it’s business as usual for the next few years at least. No doubt there’ll be a large number of people looking to keep their cars going for as long as possible. This will most likely involve buying another car at some point. What would my choice be? As the owner of an FG XR6, I occasionally think about what I might do for my next car. I’m fortunate enough that a 2-4 year old FG-X XR6 Turbo would be a substantial upgrade, but on the other hand I do like the idea of a new car. I have no plans to sell my XR6, and I don’t have kids, so it doesn’t need to be practical. A Mustang is very appealing. I’m also in my early 20s with HECS debt and a mortgage, so a Mustang seems expensive. Used FG-X it is then. Or maybe an MX-5 RF.If you own a SAAB and have any advice, leave a comment.